Ellwood “Sonny” Francis Bentley, 78, passed away peacefully on Saturday, May 26, 2018 at St. Mary’s Hospital in Rochester, MN. A Funeral Service was held on Monday, May 28, 2018 at St. Paul’s Lutheran Church in Blue Earth, MN with Rev. Matthew Lorfeld presiding. Interment will be held at Riverside Cemetery of Blue Earth. Online condolences may be left at www.pattonfh.com. Ellwood was born on October 8, 1939 to Elwood and Thelma (Heidick) Bentley in Webster City, IA. He graduated from high school from Webster City, IA. Ellwood attended junior college in Webster City before St. Cloud State University, where he received his B.S. in Education. Ellwood received his Master’s Degree from the University of Arizona. 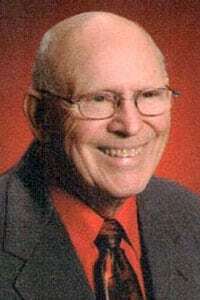 He taught in Blue Earth Area High School from 1967-1999. Ellwood taught 9th Grade Physical Science. Ellwood was in the army observing the radar for the Nike Hercules Missile Base in Isanti, MN, guarding the Twin Cities from 1961-1964. During his time in the service, a friend set him up on a blind date with Barbara Michel back in Webster City. The couple dated for three years before uniting in marriage on April 28, 1963. The couple then moved to Blue Earth, MN in autumn of 1967. Ellwood enjoyed many activities ranging from coin collecting to gardening and reading. His greatest joys in life were his children and grandchildren. Ellwood is survived by his wife of 55 years, Barbara; children, Michelle (Mark) Kintner and Nathan Bentley; grandchildren, Daniel Bentley, Joseph Bentley, Mitchel Kintner, Meghan Kintner, Andrew Bentley, and Shelby Bentley; siblings, Patricia West, Clair Bentley, Virginia Nulle; sister – in – law, Phyllis (Gary) Randall; and many loving nieces, nephews, and other relatives. Ellwood is preceded in death by his parents.